Vol. 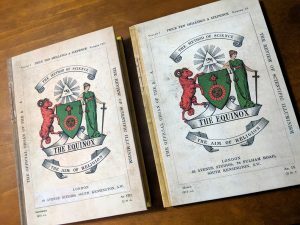 1, No 9 of the Keep Silence Edition of The Equinox Available – Zero Equals Two! Vol. 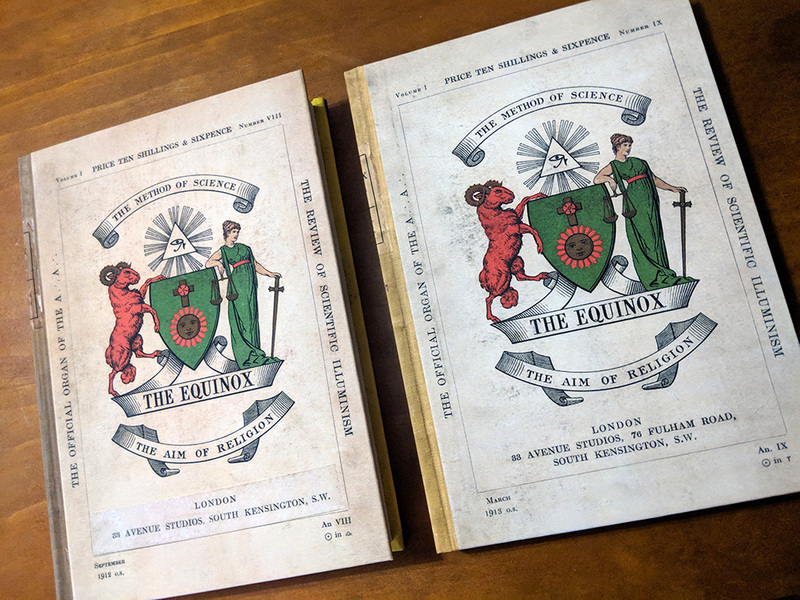 1, No9 of the Keep Silence edition of The Equinox is now available for purchase. Yet, if one is not a fan of fiction, no 9 contains a couple of important thelemic occult texts not to be missed: ENERGIZED ENTHUSIASM (required reading for Neophytes and Zelators) and AN EVOCATION OF BARTZABEL THE SPIRIT OF MARS. There is also a short continuation of The Temple of Solomon the King, describing the conception of the A∴A∴, a description of V.V.V.V.V. and the reception of the first of the Holy Books received after The Book of the Law. 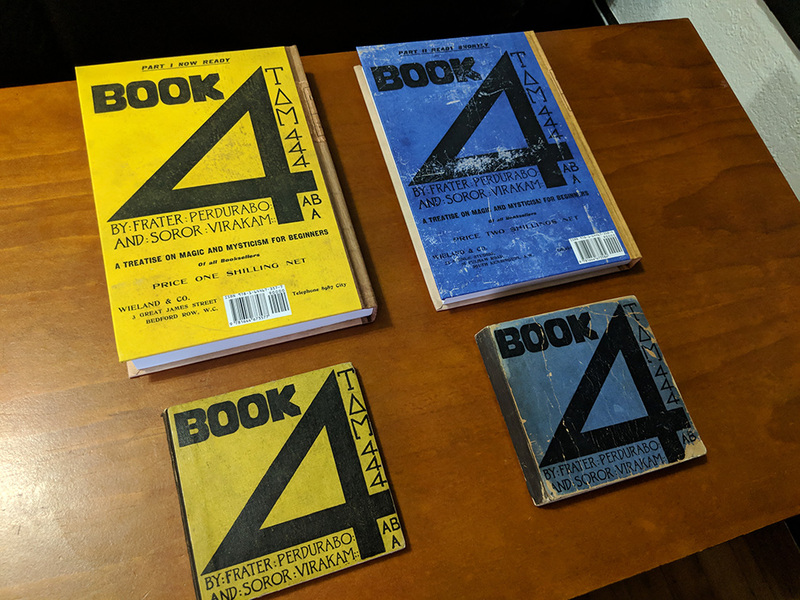 The issue featured a color ad on the back for Book 4 (pictured here with the first editions of Book 4).